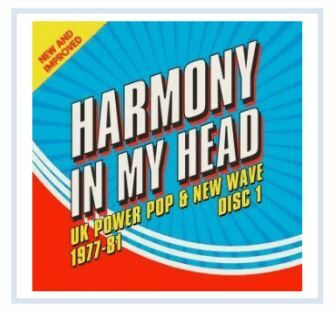 Cherry Red has announced a 3CD “power pop and new wave” set – Harmony In My Head – for release on 26th October. Acts featured include Elvis Costello, Squeeze, Buzzcocks, Eddie & The Hot Rods, Nick Lowe, The Jags and Wreckless Eric, who are joined by other less successful acts (The Records, The Freshies, The Flys) as well as a host of rare 45s on tiny labels, many of which have never been on CD before. The set comes with sleevenotes from compiler David Wells. 15. UFO – The Monos! Two discs of prime femme pop from the Antipodes.